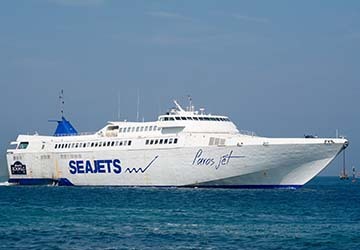 Seajets is a Greek company operating ferry crossings from Piraeus, within the Athens urban area, and Rafina to Crete and the Cyclades Islands. 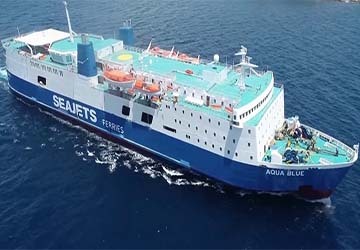 Seajets operates regular crossings with their fleet of 11 high-speed ships, the largest network in the Aegean, connecting 17 ports with a total capacity for more than 8,500 passengers and 1,450 vehicles. 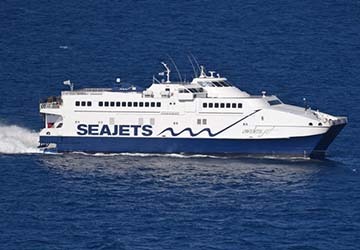 Consisting primarily of top-quality catamarans, the Seajets fleet also contains the stylish monohull Tera Jet, the largest of the fleet, and Paros Jet, reaching speeds of 45 and 37 knots respectively. 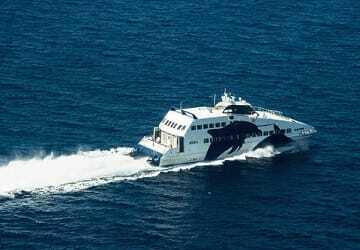 The company’s largest catamaran, Champion Jet 1, while carrying up to 1,000 passengers and 200 vehicles, can cruise at an impressive speed of 40 knots. 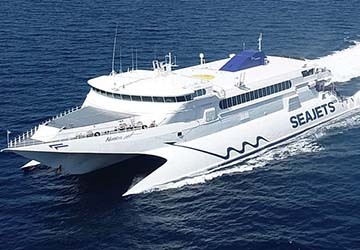 Seajets has consistently offered all passengers reliable, consistent and safe sea transportation ever since their inception in 1989. 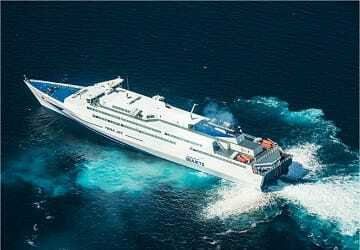 By choosing to only use high-speed ferries, and with more than 140 ferry connections from Piraeus, Rafina and Crete to the islands of the Cyclades, they offer the fastest and most convenient service available in the region. 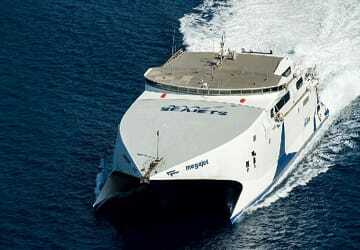 With directferries.co.uk you can find Sea Jets timetables, fares and book Sea Jets ferry tickets. 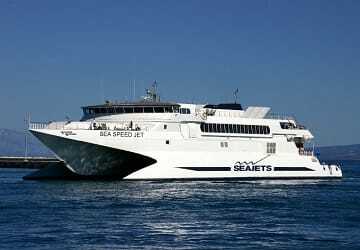 Where applicable we’ll also compare Sea Jets with alternative ferry companies. We had vouchers via online booking. Were advised to check in and exchange for tickets an hour before departure. This worked well. 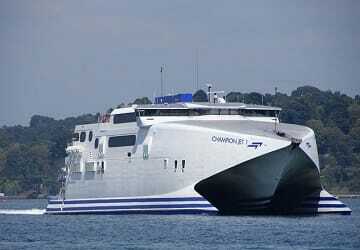 Embarking and disembarking were both smooth and fast. 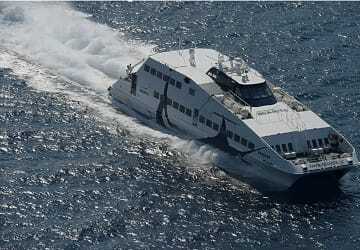 Waters were relatively calm (not much wind) which made for a very smooth crossing. All good a part of the massive delay of this trip, about 4 hours. 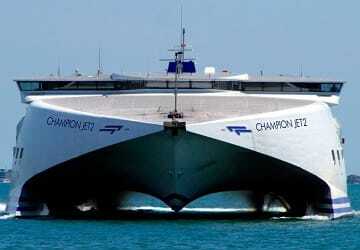 Clean ship, well kept. No issues this time. Punctual travel. 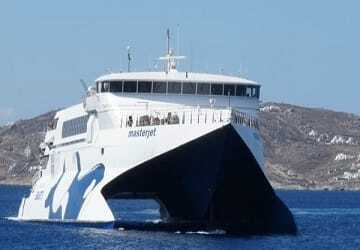 Piraeus to Serifos to Sifnos to Milos All excellent and on time. The way to travel. But repair the seats where broken. Arms missing and tables inoperable. 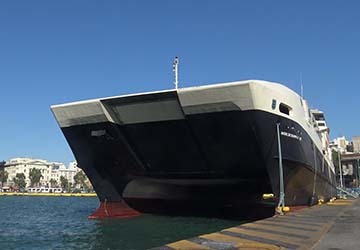 There should also be clear indications at Piraeus which gate for which ferries. Even the taxi drivers dont know and guess.